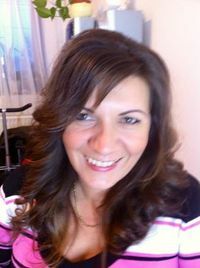 I am Zsuzsanna Mrs Kis, the business builder of DXN online MLM. I have been introduced into this business by a friend, and I liked it very much from the beginning. I felt, I found what I had long been looking for. I did not hesitate for long and I ordered Lingzhi Coffee 3 in 1 for me and my husband, and Cocozhi for my son. We started to feel positive effects immediately, the stomachacid disappeared, we were more energetic, we slept more calmly. My son's allergy to dust also disappeared, despite thatit was serious. He was coughing all the time. We becomeregular consumers, and tried more products: soap, toothpasta, face balm, spirulina, tea, Zhi Mint Plus candy, body gel, shampoo. To tell the truth these products must be tried. If I didnot work in the network, I would use them anyway. They arevery good. We have been consumers since 2011, and the most important is that my husband's hairfalling stopped, but beforewe tried everything, and nothing helped. This product is a miracle. Meanwhile I started making business alone, without help. OnIntranet I got a well built, easy to edit web page and a webshop. Beside, an inner information system, where I can geteducation help free(videos, presentations. ), that is a very bighelp. But I needed affirmation if I was doing well or not. I didthe work, I formed the group, but I missed something. I felt something did not work. I found my power was not so high, I slowed down. I was angry, that I could not be so succesful asothers, although the business is very good, with goodproducts. Somebody said: In MLM and also DXN there must be an upper line, so i asked help and I got. I am so happy to be here and work with these good people. I have got a very good group and we are extending. I am a good sponsor for my group, I give all the help. I think, ifsomeone wants to be successful in this business, with a lot of work and duration one can reach a goal. The point is to love what you do. I am a Start Agent. If you think, you would work with me, I am waiting for you in a good group. Let us be successfultogether. If you are interested, check my website. If you have a question, check my contact, write an e-mail, or call, I answerall the questions.